Not yet but I wouldn't be surprised if it was the promo for August/Sept since that's when the show is supposed to start. 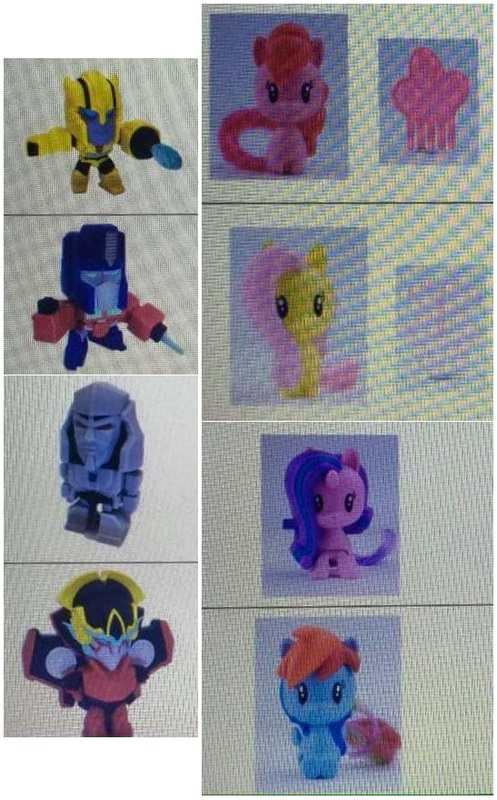 Could be wrong since it's been awhile since Prime has been on air but I think they did the same thing for the Happy Meal toys for Prime. Did some googling; it looks like they came out in early 2012, which would line with season 2's start. So it may not have been alongside season 1, but they definitely wanted them to correspond to the start, rather than having a promo mid-season, it looks like. Oh no, I'm afraid you won't be getting that Shockwave. Indonesia only has half of the toys Russia got. The following pictures seemed to have been leaked from a corporate computer here in the Philippines. It looks like we're only getting half of them too. I wonder if any of the other countries are gonna get toys from the other half. Thanks to Cybertron Philippines (www.cybph.com) some in-hand images. It seems they received only half of the figures like Indonesia. Same in the Philippines. We only have 8 to choose from. Same dealio here in Taiwan. Only those four. The promo started today, so I went and picked myself up an Optimus. Wasn't sure these would be showing up at all, so trying to be pleased to be getting these four, instead of disappointed about no Shockwave and Grimlock. Got my Shockwave from Russia today, took a couple quick pics. This is from Norway, looks like we got the full assortment here. In China, we're only getting 4, not the 8 that Russia got. I got Bumblebee today, he's bigger than I expected and fairly well-painted. I really really want that Windblade! Windblade was the second one available here -- Optimus, Windblade, Megatron, and then Bumblebee, who is out now. I often go to McBurger to study anyway, so I picked them all up. They're not wow! or anything, but I'd still like to get the others because -- collector and sets. No shockwave, Grimlock, jet Starscream, or car BB here either. They had Prime, BB and Windblade in the display case, but only Megatron was in stock. The arms move when he walks but he doesn't go very far on a windup. We got Windblade yesterday. (McD home delivery). here in italy we got full assortment. my sons got "back alley street thug with switchblade" optimus, "out for a walk" megatron, "who's that no one chick"windblade and "fire feet "shockwave. Bumblebee? f##k that yellow wimp! Surprisingly, the full set of figures have been spotted in Mexico. Thanks to Isaac Cruz from the Grupo Internacional de Fans De Transformers. He found them at McDonald's in Veracruz, Mexico. They were seen today a few hours ago. ME MUEROOOOO!!! Entre esto y los CyberVerse en Perú, ando demasiado hypeado con lo que puede llegar a Argentina!!!! Another user on the same FB group claims that the full set is also available in Guatemala. They just look so smug and pleased in that photo. I'm guessing Megs is down for the count? Full set out in Argentina too. Curiously, the promotional video shows an animation of RID Bumblebee instead of the Cyberverse design.